Description: Discover the lost supernatural stories behind some of the most famous people and events in history. These Fantastic Tales explore the secret history that has been hidden in the shadows of the world, and even alternative histories from other worlds. Tales such as a young man seeking the secret of immortality from none other than Bela Lugosi. The tragic story of how the Titanic really sank. The horrifying lengths the people of New York city would go to raise above the Great Depression, rather in seeking fame or trying to feed the city. And many more Fantastic Tales of Terror. Description: First launched in January 2009, The Bards and Sages Quarterly is a celebration of short speculative fiction. 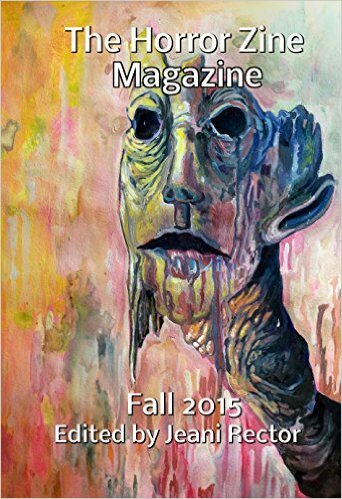 Each issue brings readers a vibrant collection of speculative works from both new and established writers. Our goal remains the same today as when we began: to create a showcase in which to introduce readers to amazing voices they might have otherwise missed. In this issue: Doug Lane, Harold R. Thompson, Daniel Stride, Jessica Marie Baumgartner, Joseph Cusumano, Colin Lubner, E.J. Martin, Katherine Inskip, Lisa Ahn, Matthew Rettino, S.H. Mansouri, and Kathleen R. Sands. Description: Fantasy with a happy ending isn’t just for children. The May 2018 issue of Aurora Wolf contains Jessica Marie Baumgartner’s uplifting tale about loss and undiscovered worlds. Description: Since her death ninety years ago, Sal has watched over all newcomers to her graveyard. But when a young spirit rises from the grave with a unique power, Sal has to help him navigate the realm of the dead before he brings damnation to himself and others. What is The Society of Misfit Stories? These are stories often trapped in the forsaken shadowlands of the publishing industry: too long for traditional magazines and journals, but too short for print. Launched in 2016, The Society of Misfit Stories provides a loving home for longer short fiction. Each entry in the series is a stand-alone tale from talented new and established voices in a wide range of genres. The Society of Misfit Stories Presents…Volume One is available in digital, paperback, and hardcover formats and features the stories first published in 2016. Description: What happened to the pig who was allowed to live into old age? This morbid tale reminds us that not all intentions are carried out in the webs we weave. Description: As Earth dies, leaving its inhabitants struggling to survive, an alien race offers an unimaginable option: to relocate humans to their own planet on the far end of the universe. The Campbells, one of the last surviving families, quickly realize humanity’s hope for survival may come with a price. Accepting a new way of life, acclimating to a new atmosphere, and trying to fight against a universe that seems set on tearing them apart offers many struggles. Can the Campbell’s make it through, together? Description: As always, the Horror Zine offers up chilling tales that are sure to entertain. But in this issue the story, Molded to Perfection, brings back a more classic style with Jessica Marie Baumgartner’s tale of a mother who struggles with her parenting issues. Description: This is the fourth volume in a series of horror stories that have more than just a slasherfest aspect to them. These stories have depth, characters that you can identify and (maybe) even sympathise with. This volume includes stories from Ralph Robert Moore & Allen Ashley (a co-operative work from two extremely talented authors from different sides of the pond! ), and one of my absolute favourite supernatural pieces from the marvellous Gary Couzens.